Middle Georgia State University is actively involved in reducing our energy consumption throughout our five campuses by transitioning from energy consuming light bulb types to a more energy friendly type of light bulbs, utilizing LED lights where possible and also reducing the number of lighting fixtures while preserving the safety of our students, faculty and staff. This is just one of the ways we have reduced our energy consumption with lighting. Another one of our efforts include the use of sensing switches in many of our classrooms and labs that automatically turn lights off and on by sensing whether the room is occupied or not. 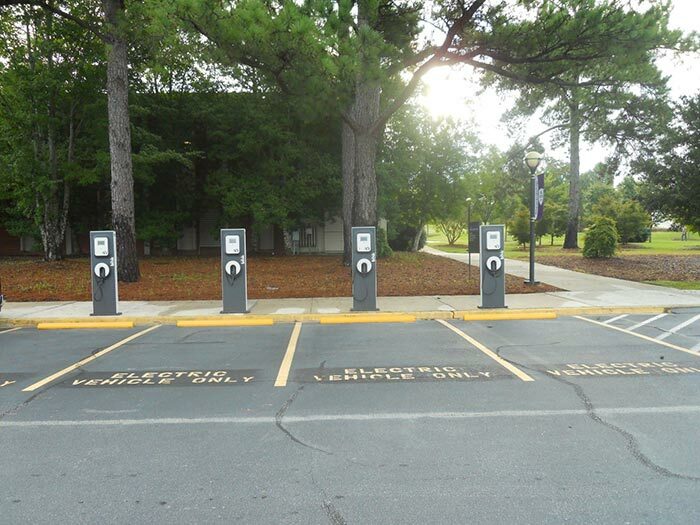 MGA has also installed electric vehicle charging stations on our Macon campus. This promotes the use of clean energy sources and zero emission transportation. Air conditioning and heating systems are one of the largest consumers of energy on any College campus or University. MGA continually upgrades when possible/practical older inefficient HVAC units to a newer much more energy efficient unit. These HVAC systems are on a strict schedule to operate only when classes are in session. When the buildings are unoccupied the air conditioning and heating systems are programmed to come on only when the temperatures rise above or below a standard that could cause damage to interiors, contents or furnishings. MGA has incorporated the use of Dolphin water treatment systems for many of their chiller operations. These systems do not use chemicals to treat the water in these closed loop systems, but uses a Pulse Power Technology that produces a high magnetic field that charges contaminants and reduces them to an inert powder that is filtered out of the system. This system greatly reduces waste water, chemical expenses, operating costs, a reduced carbon footprint and improves water efficiency. We have also installed M2G controllers on some of our boiler systems, which help control the boiler from running unnecessarily and increases the boiler efficiency around 12%. Water usage has been greatly reduced by means of using low flow plumbing fixtures in all of the restrooms. We have also installed automated faucets in most of these areas which has reduced water consumption considerably. MGA's Macon campus has also designed its irrigation system to conserve water by utilizing a natural spring fed lake to irrigate 50% of the campuses grounds and flower beds saving at least an estimated 500,000 gallons of water and reducing use from the city of Macon's municiple water source over the last two years. We are also in the planning process of equipping the irrigation system with a flow meter leak detector that warns via a mobile alert if any of the water lines have leaks on them thus saving hundreds if not thousands of gallons of water that could be lost in the event a pipe breaks. 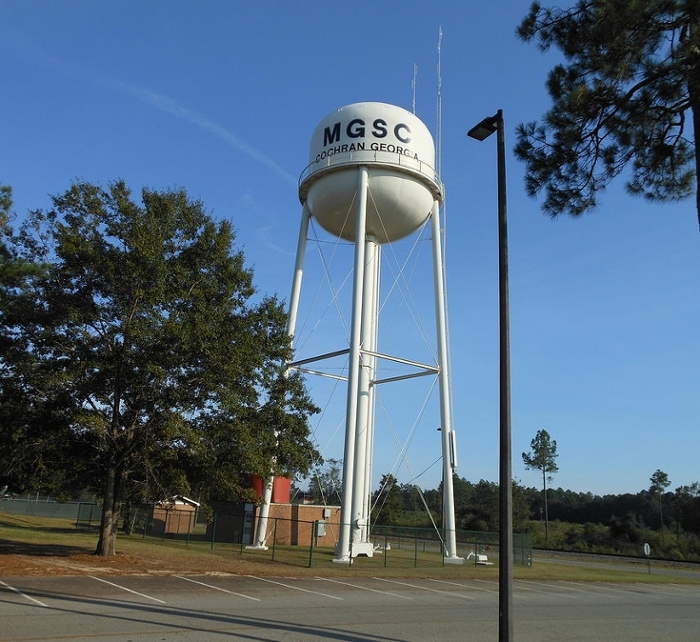 Our Cochran campus has a 150,000 gallon water tower that uses a 155 foot deep groundwater well to supply almost all the campuses water needs. We employ a part time certified water plant operator who routinely tests and monitors the water purity. This is a major cost savings as opposed to being connected to a municipal water supply. Middle Georgia State University's goal is to reduce waste and the carbon footprint we leave on this planet by educating staff, faculty and students by recycling or reusing many of the products we use. Our efforts start with recycling much of our consumed products whether it be water bottles, aluminum cans, printer paper, batteries, etc. 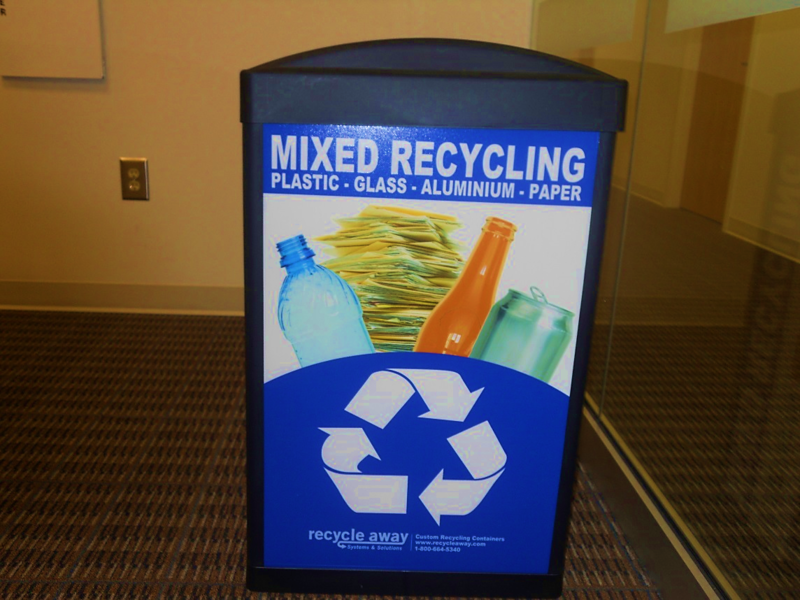 we have a recycling program in place or being initiated on all five of our campuses. 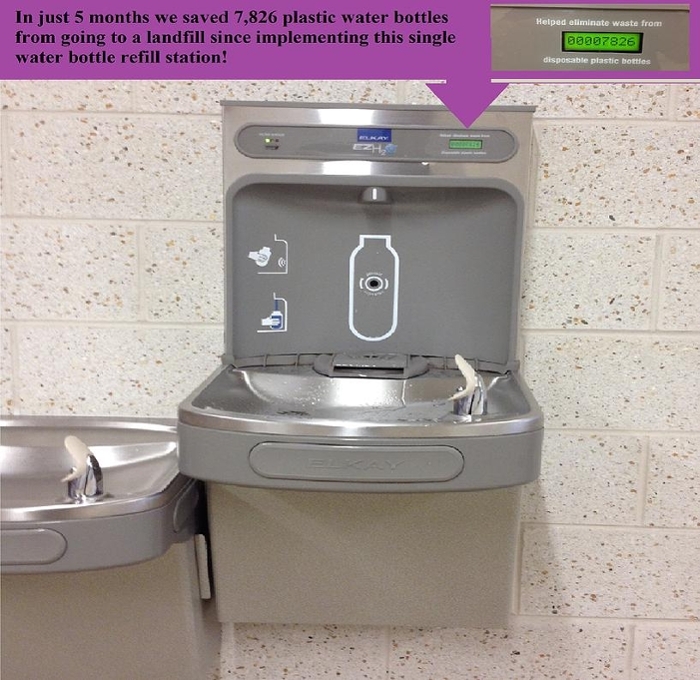 MGA has also committed to installing at least one water bottle refill station per campus saving an estimated 40000+ plastic bottles per year from going into landfills. 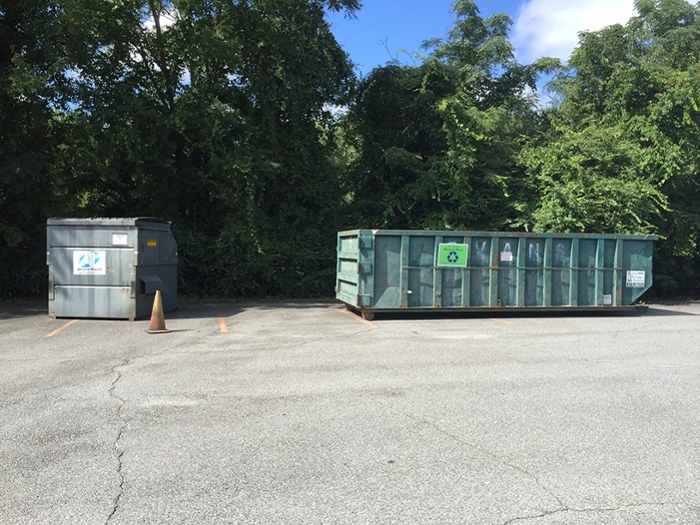 In just the last few months our Mixed Recycling project alone has saved more than 3240 pounds of materials from ending up in a landfill thanks to our Facilities Department! Extra recycling containers were brought in for move-in day on the Cochran campus! We were successful in diverting recyclables from the waste containers. Our plan is to make this initiative a regular event during move-in day on our campuses with Residence Halls. 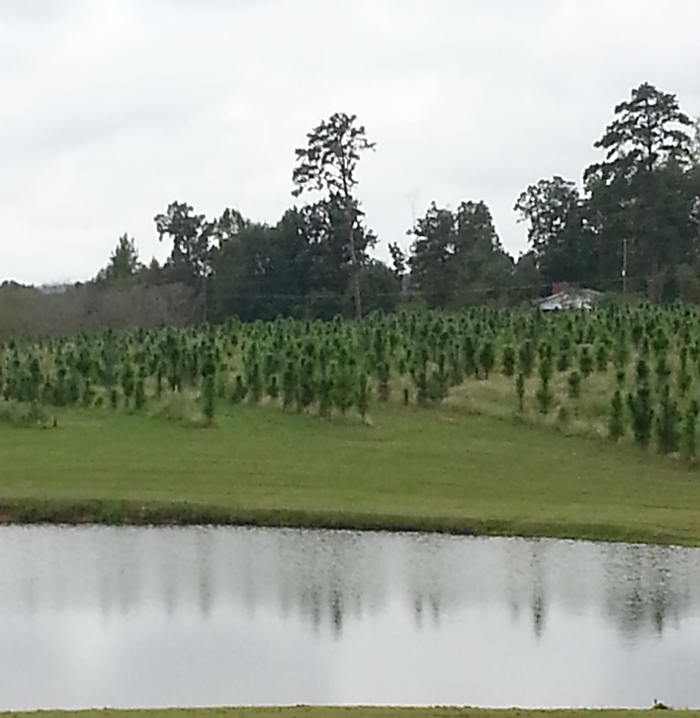 40 acres of long-leaf pines have been planted by MGA. The fallen pine needles will be used as groundcover for campus flowerbeds and landscapes. This cuts down on landscaping costs and waste!